The amazingly hearty Joshua Tree yucca (Yucca brevifolia) seems to be ubiquitous in Yucca Valley, growing naturally in vacant land, along roadways, and as ornamental landscape in people’s yards. There’s even a national park/monument up the road named after them. Although widespread in range the Joshua Tree’s natural habitat is considered to be diminishing due to climate change. Also lack of Giant Sloths hasn’t helped. You see, in the Ice Age and immediately thereafter mega fauna roamed the Northern Hemisphere, and, when it wasn’t fighting off Saber Tooth Tigers (Smilodons), it’s believed that the Giant Sloth (Nothrotheriops shastensis, or Shasta Ground Sloth) fed on the leaves and berries of the Joshua Tree and dispersed its seeds in their excrement, thereby widening the range of this plant along their routes of travel. No more Giant Sloths means these yuccas can’t expand to cooler and more hydrated climes as global warming continues to dry out the Southwest. Poor old Joshua Trees. Plant one in your yard in Mendocino or Seattle today. 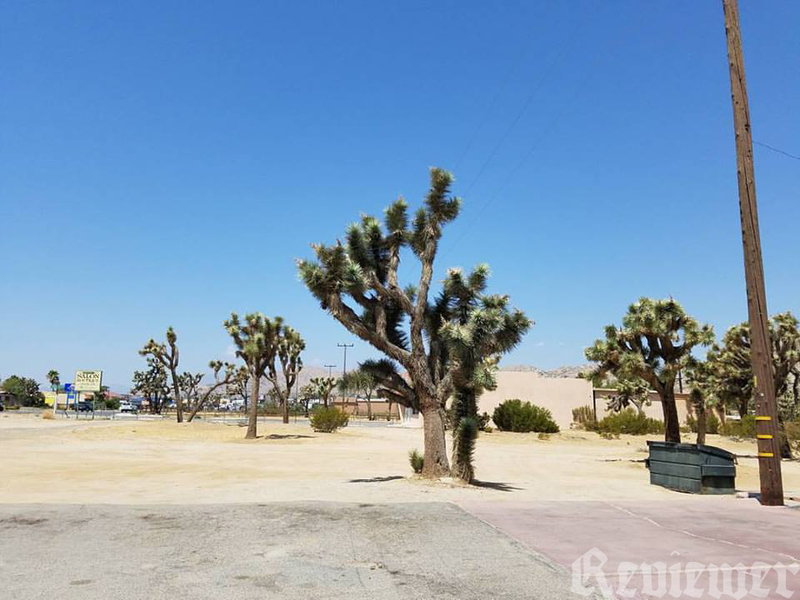 The Joshua Tree growing in its natural habitat, as a weed in a vacant lot or in a city easement . Previous Previous post: Model Calling!